What can we do with a cute little girl, who does not always tell the truth? Ruthy is a sweet 5 year old girl, who has gotten used to not telling the truth. She breaks the rules and says, "It wasn't me!". Nothing helps until Dad comes up with an idea that changes the rules of the game. Now Ruthy is "Truthy Ruthy". Bravo, Daddy! How does Dad change the rules? Read our humorous, fun story to find out! The book Truthy Ruthy is a must for every child, parent, preschool teacher, therapist and coach. 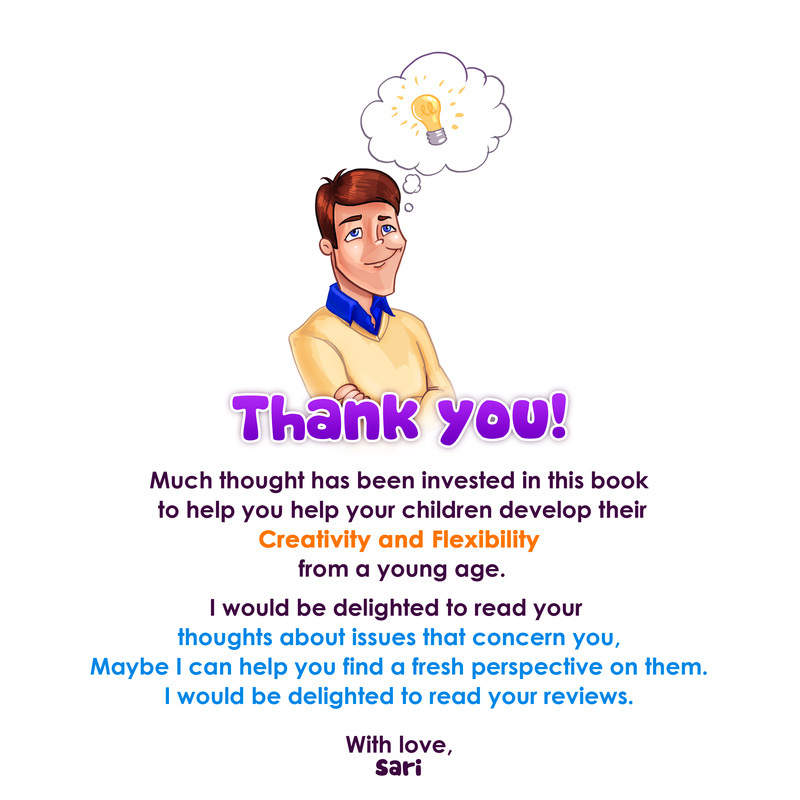 The book gives unique and creative tools for dealing with the issue of truth-telling among young children, a matter that comes up in almost every family. It raises the problem — how to deal with telling the truth — and offers a creative, unexpected solution that leaves both children and their parents surprised. My creative family was the source of inspiration for me to write this book. We too had difficulty with one of my children who tested the boundaries of truth, until my husband surprised us all with an unconventional and brave concept, “People are allowed to not tell the truth!”…Within a week my son asked us to tell the truth; he was convinced he himself had invented the truth…and he was so proud of himself. We learned just how much a creative idea can be worth! Twenty years have passed since then and one could say that the most pronounced values our family has include: integrity, creativity and a sense of humor. As an expert in the development of creative thinking, a coach and a mediator, what I hope my readers will get from this book is the concept of creativity as a state of mind; when they face a problem, they’ll put their inventor hats on and invent brilliant ideas and solutions; they’ll be surprising and bring about real change. So here is to future successes!